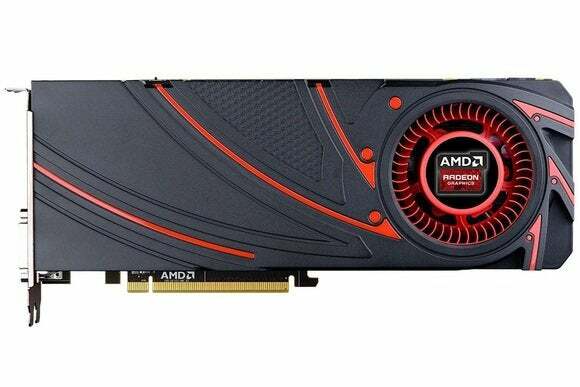 AMD's high-end R9 graphics card range is getting a lower-priced option with the Radeon R9 280. Spec-wise, the R9 280 is almost identical to AMD's Radeon HD 7950 with Boost, which first launched in August 2012. It has clock speeds up to 933 MHz, with 1792 stream processors, 112 texture units and 32 ROP units. It has 3 GB of 5 GHz GDDR5 memory on a 384-bit interface, and has a typical power draw of 250W. Hexus notes that the R9 280 will mainly square off with Nvidia's GeForce GTX 760. There are a couple of differences from the Radeon HD 7950, however: Compared to the R9 280, the older card's boost clock speed is lower, at 925 MHz, but the 7950 also consumes less power at 225W. As we've seen with the recently-launched R7 250X, AMD has been rebranding some older cards to fit within its new R5-R7-R9 naming scheme. Although benchmarks from the new card aren't available, earlier tests of the Radeon 7950 by Eurogamer show the card managing at least 30 frames per second in 1080p on most newer games with graphics cranked up to very high or ultra settings. In Bioshock Infinite and Tomb Raider, the card cleared 60 frames per second on ultra settings. At a suggested price of $279, the R9 280 is just $20 cheaper than the R9 280X that launched last October. The 280X has a higher boost clock speed at 1000 MHz, higher memory clock at 6 GHz, 128 texture units and 2048 stream processors. The problem for AMD is that it's been having trouble stocking R9-series graphics cards at anywhere close to suggested pricing, likely because of interest in the cards for cryptocurrency mining. AMD cards have proven better than Nvidia for mining currencies such as Litecoin, which has led to inflated prices and supply shortages. As AnandTech notes, AMD acknowledged the supply problems in a press statement: “Following the exceptional demand for the entire R9 Series, we believe the introduction of the R9 280 will help ensure that every gamer who plans to purchase an R9 Series graphics card has an opportunity to do so,” the company said. We'll see if AMD can make good on its word. The first R9 280 cards are due to launch this week in limited capacity, followed by wider availability next week.